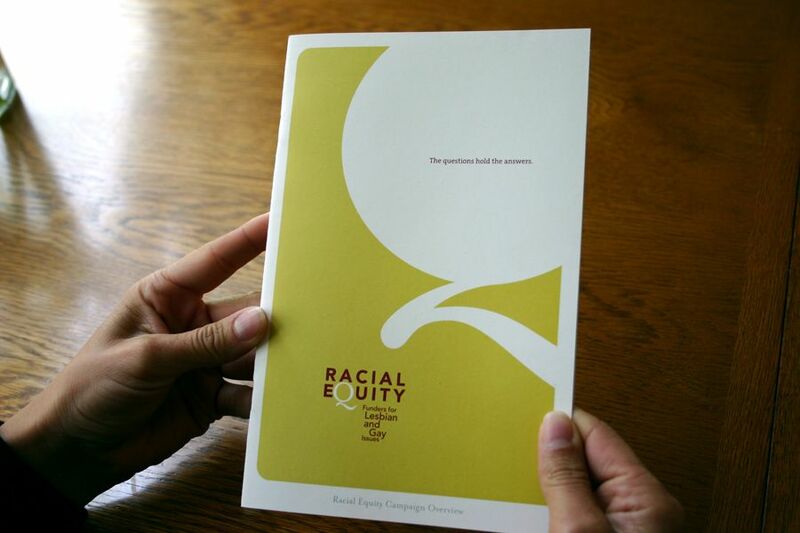 Funders for LGBTQ Issues’ Racial Equity Campaign is a multi-year initiative to create healthy grantmaking institutions that embody fairness and inclusiveness and support the leadership of lesbian, gay, bisexual, transgender and queer (LGBTQ) people of color and their organizations. 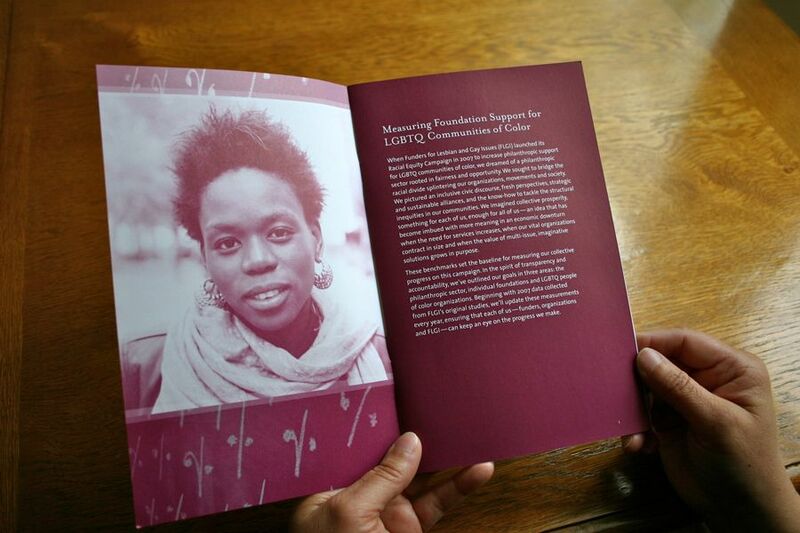 Through a community-based grantmaking initiative, original research and an array of grantmaking resources, the campaign aims to stimulate broader philanthropic support for LGBTQ communities of color. 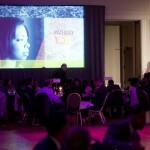 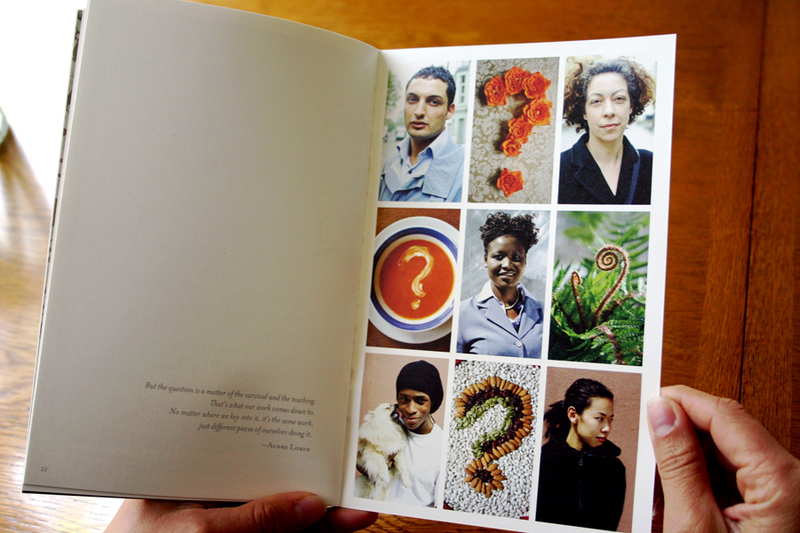 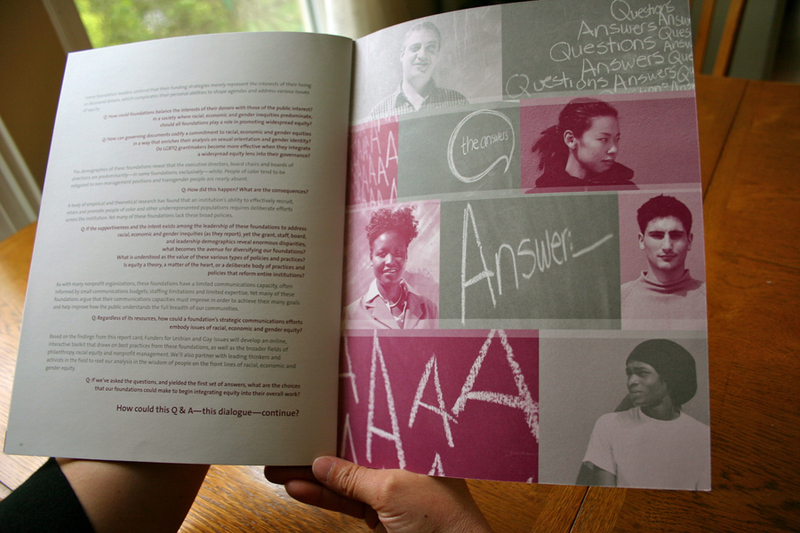 LeAnn Locher & Associates provided branding, identity, thematic development, and creative design for the campaign. 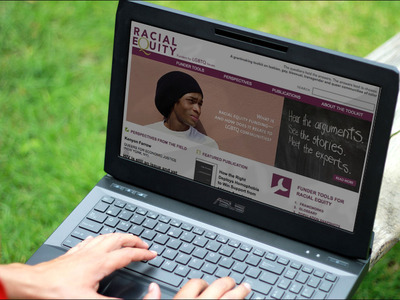 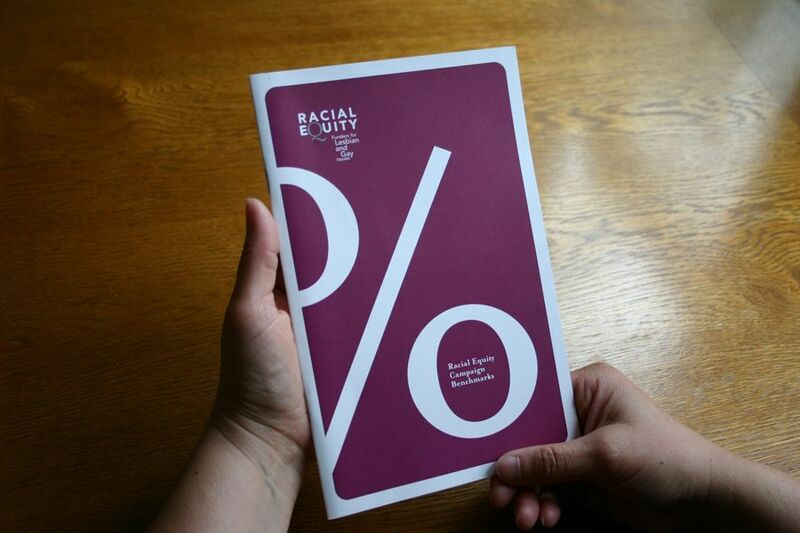 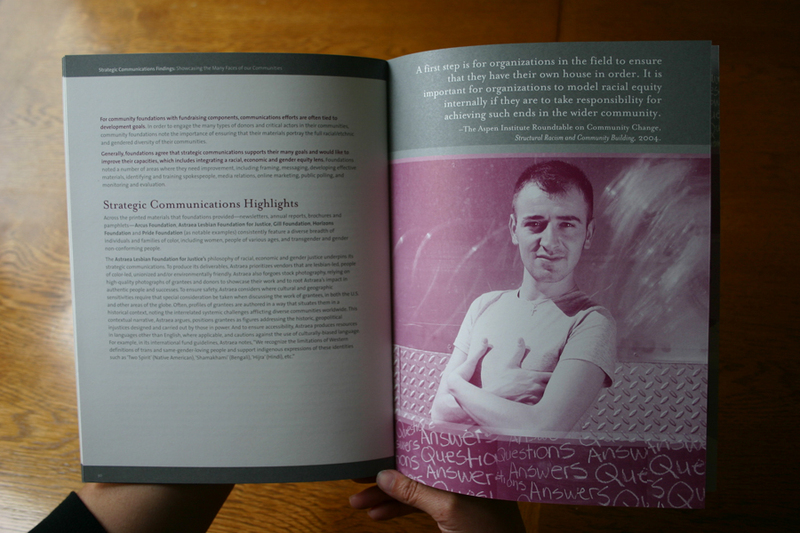 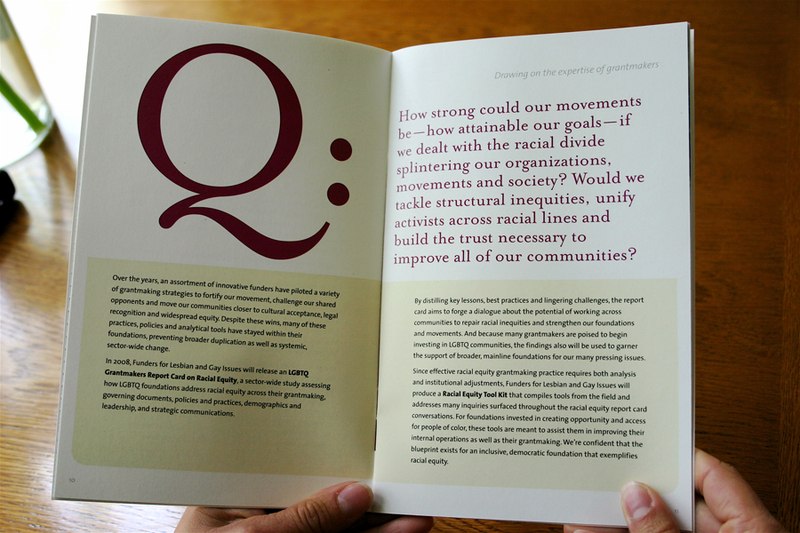 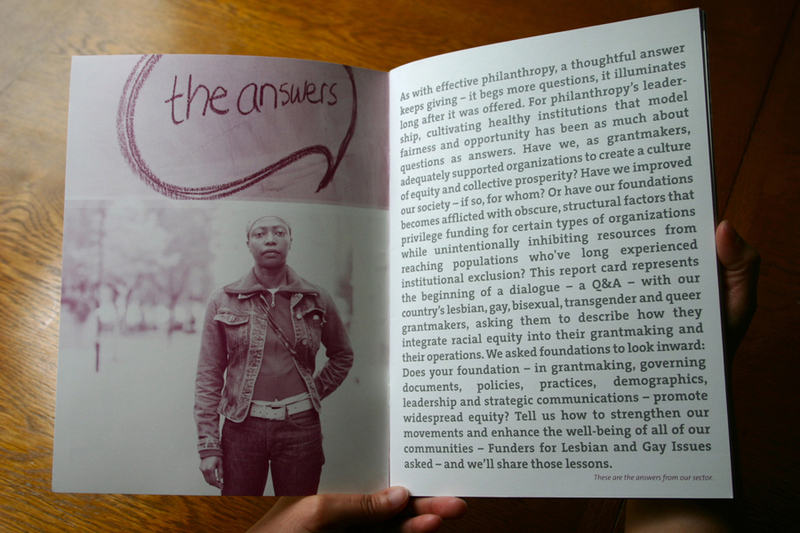 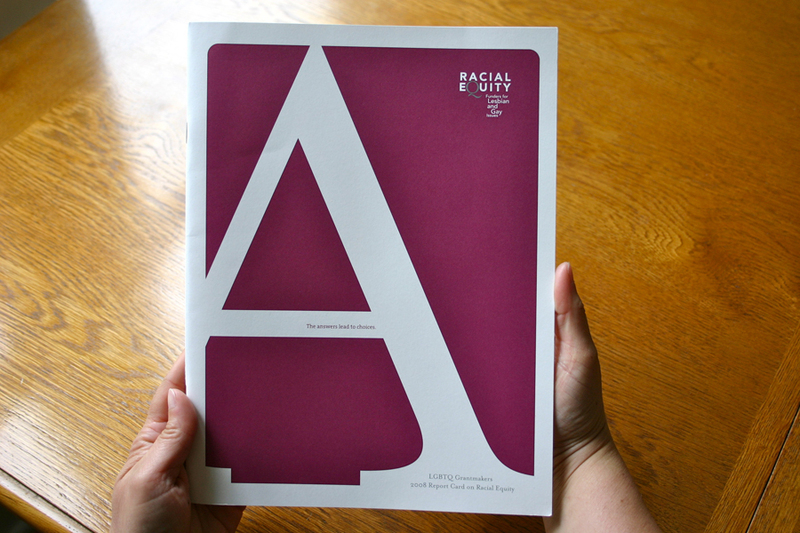 In addition, we designed and produced publications of the campaign, including the LGBTQ Grantmakers Report Card on Racial and Equity, Goals and Benchmarks, and Campaign Overview, as well as the creative direction for the website.